The famous Taiji grandmaster Chen Fake was born and grew up in the Chen Family Village of Wen County, Henan Province. He was the standard bearer of the 17th generation of Chen Style Taijiquan. His great-grandfather was the famous Chen Taiji grandmaster Chen Changxing. 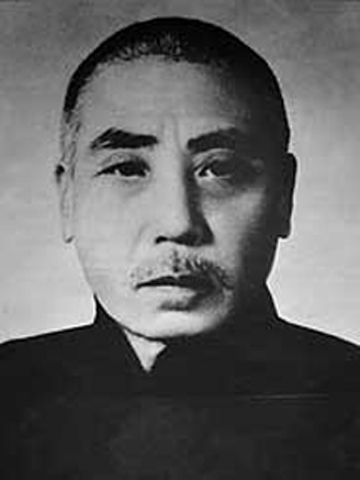 His grandfather Chen Genyun and father Chen Yangxi were also accomplished Taiji masters. Grandmaster Chen's teaching changed this tradition, made this art available to the outside world, and opened a new era in the development of Chen Style Taijiquan. This became the second landmark in China's Taijiquan history. Grandmaster Chen not only had high martial art skill but also high moral virtue. Although he had compared skills with many martial artists in his nearly 30 year teaching career in Beijing, he seldom made enemies and had made many friends within the martial arts community in Beijing. He was called the Quan Shen, the "spirit of the martial arts," by international martial artists.